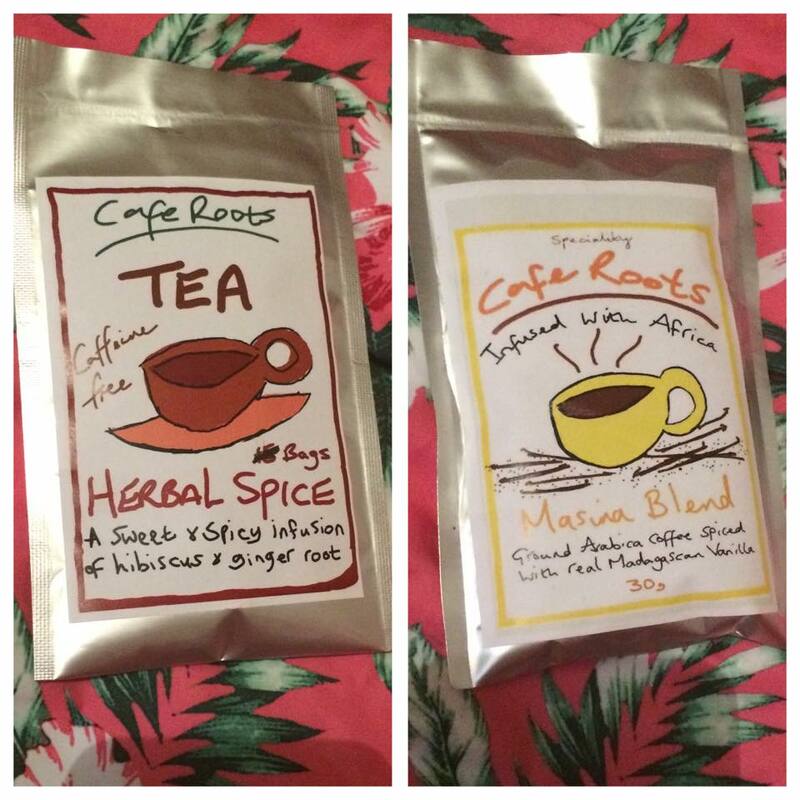 Cafe Roots produce gourmet coffee blends and fine herbal teas. The lovely people at Cafe Roots have given me the opportunity to try some of their products so here's my thoughts! Upon opening the package, I noticed that on the pack of every packet, there's lots of information about the ingredients and the relevant health benefits of the blends. The first tea that I tried was the Moringa & Lemongrass tea. Upon smelling the bags, it almost smelt like henna to me! I've tried moringa powder before in my food and it does have quite a distinctive scent and taste. When I made it, I let it brew for around 2 minutes. The tea is quite a strong herbal tea with a distinctive taste but the lemongrass does come through much more in taste than in scent which I like. The flavour is actually relatively complex and I'm struggling to describe it but imagine the exact scent of moringa in taste form with the added element of lemongrass. I enjoyed this tea but it's not for newbies to the world of herbal tea. 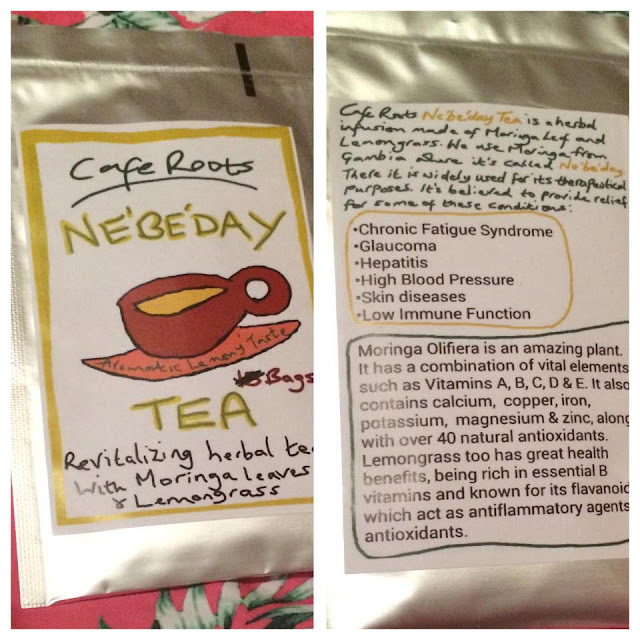 This tea is ideal for you if you're into your teas and fancy trying something new with numerous health benefits such as the possible prevention of numerous ailments due to high levels vitamins and antioxidants in the moringa leaves. It's not for the faint hearted but I will be enjoying this one again in the morning to get me energised for my day. The second tea that I received is the Hibiscus and Ginger Root variety! This one smells strongly of fresh ginger, not at all like dried ginger which I find so odd! It's hard to pick up the hibiscus in the scent but I've smelt hibiscus a lot before so I can detect a subtle hint of it in there. This tea is such a warming one to drink, I'd imagine that it's perfect for cold winter nights. It might even work as an ice tea with some fruit in there if I'm feeling experimental. If you like ginger then this tea is a must for you as it's a lot stronger than any other ginger teas than I've ever tried. Probably avoid this if you dislike ginger but even my ginger-hating boyfriend thought that this was pleasant so this tea may convert you! The Masina Blend coffee is my favourite product of the bunch. When I cut this packet open I was literally in heaven. It smells absolutely beautiful. This coffee has the most lovely, rich, creamy vanilla scent. It reminds me of chocolate covered coffee beans. It tasted beautiful too - it's super mellow and satisfying. I am so glad that I tried this coffee and I seriously need to get my hands on some more. Madagascan bourbon vanilla has a really distinctive taste and it's just gorgeous. The Uhuru Blend coffee is for those of you who like a really intense cup of coffee that has a kick to it. It has a super intensely chocolate scent which I think is because of the addition of tonka bean as this is known to have a vanilla-esque scent. I really enjoyed this cup of coffee, it's definitely a morning coffee rather than mid afternoon drink which when I'd drink the mellow Masina Blend. 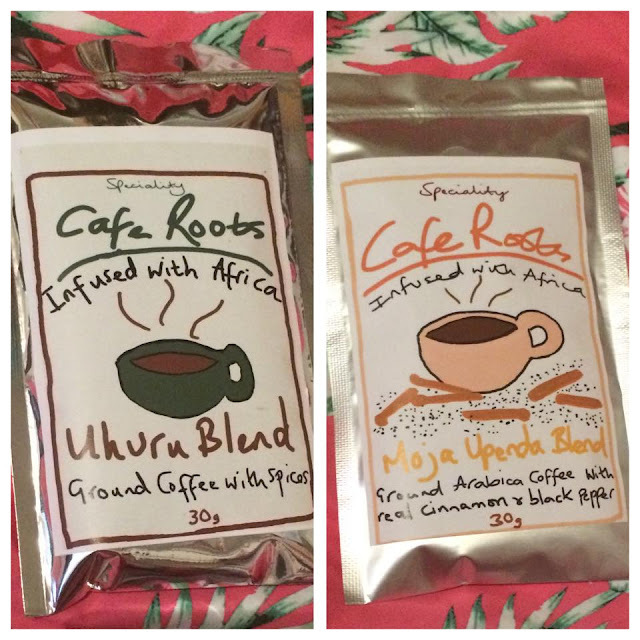 I then tried the Moja Upenda Blend which is a more spicy coffee. This one has a distinctive christmassy scent due to the cinnamon. I love autumn/winter coffee drinks in coffee shops as they are spiced like this so I really enjoyed this one. It's lovely with some frothy milk added, it's so comforting and warming. This is a firm favourite of mine. The scent of the Terranga Blend coffee reminded me of beef burgers which sounds odd but it contains selim pepper and cloves which is probably why it smells like this. I personally didn't like this one but my boyfriend really loved it so I guess that it's love/hate. It's got a strong distinctive taste and it definitely wakes you up. 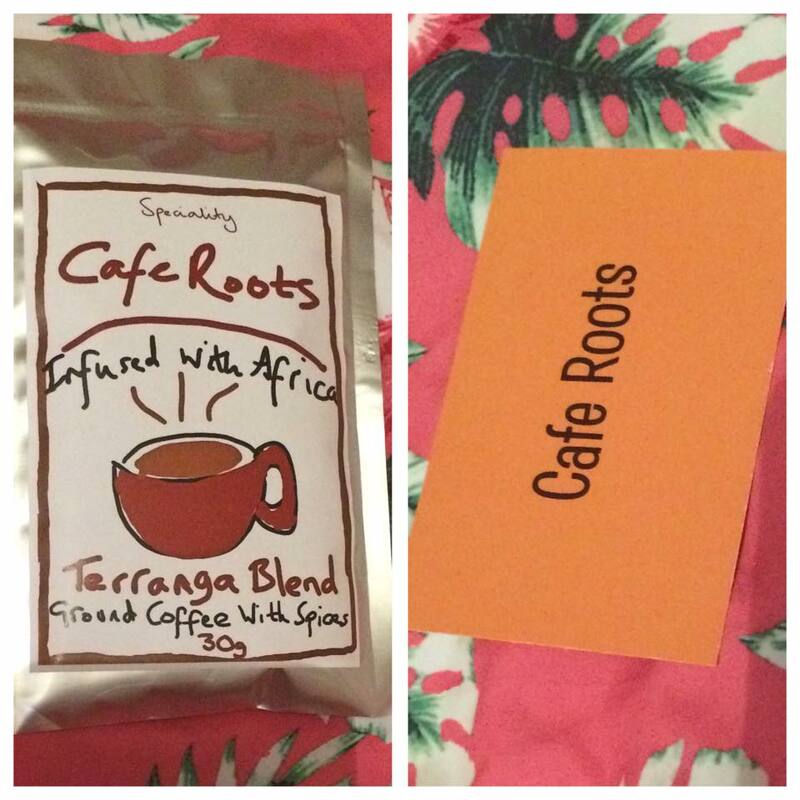 Do check out Cafe Roots if you're into gourmet teas and coffees. I really enjoyed trying them out - the Masina blend really is to die for along with the Moja Upenda blend and I really loved the teas. It's great how there's so much information on the back of the products and they aren't made with any nasty ingredients.